Saudi Arabia has decided to open a Public Relations office in Moscow to be tasked with improving its image in the large soviet country. The office to open its doors by the end of January 2018 will boost cultural exchanges and bilingual communication to reach out to the Russian population. 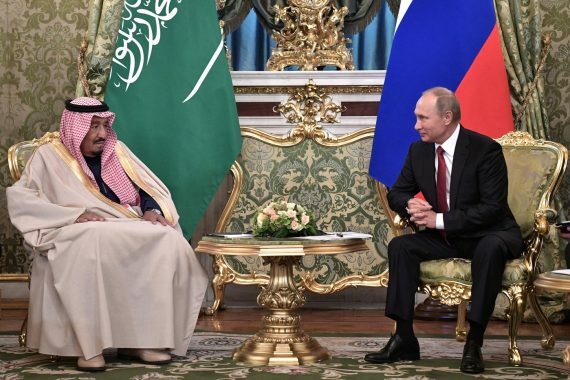 The center will host academic discussions and introduce Saudi culture to the Russian public via art galleries, music festivals and other research cooperation programs. The announcement by the kingdom’s culture and information minister Dr Awwad Al-Awwad follows the recent visit to Moscow by King Salman. The visit marked a new area in relation between the two countries, which have been opposed on the international front. Russia, long-standing US rival, enjoys good ties with Iran and Syria’s Bashar Al-Assad who is wanted out by Saudi Arabia and its allies in the Syrian crisis. Reports say Riyadh is mulling plans to establish similar offices in other global cities to counter negative coverage. Those cities include Beijing, London, Berlin, Tokyo, Mumbai, and Paris. Posted by KanelkaTagba on Oct 10 2017. Filed under Headlines, World News. You can follow any responses to this entry through the RSS 2.0. Both comments and pings are currently closed.